Rocketdog girls campo sz 5m universe Cotton. Jetson JCK. ROCKET DOG. 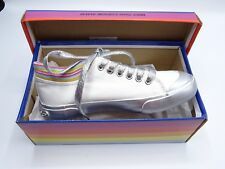 Kids Canvas Shoes. White Canvas Upper. Details: 100% Genuine. Excellent condition shoes. There are marks on the rubber soles, but no wear seen on bottom (see photos). Material: Canvas upper. 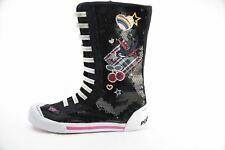 Rocket Dog Girl's Light Pink Slip On Sneakers with Glitter on Heel Sz 2Y New! Slip on Light Pink Girl's Canvas Sneakers. Cute Glitter on Heel. Size 2 Youth. 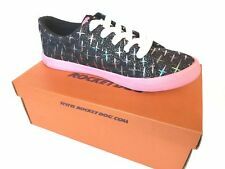 Rocket Dog Canvas Shoes. girl's size 1M Youth.